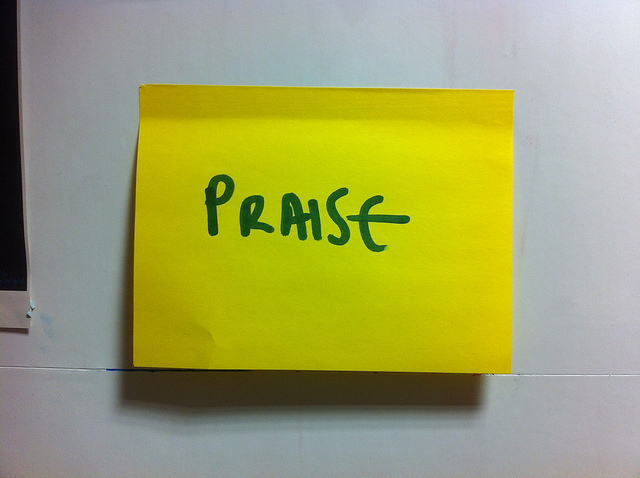 Is praise what we are all looking for? As a manager, you want to find ways to use your manager skills to motivate your team to accomplish even more. When somebody on your team does a good job, you want to find a way to let them know that you are pleased with what they’ve been able to accomplish. One of the best ways to do this is to take the time to praise them. However, it turns out that this praise stuff is a bit tricky – you have to know how to do it correctly and who has had any manager training to find out how to do that?. If you want the people on your team to do great things, then you are going to have to make sure that you recognize them when they do something special. What this comes down to is the simple fact that you are going to have to give them some praise for what they have been able to accomplish. This is good stuff: when you praise someone it motivates them, it encourages them, and it inspires them to achieve even more. What a lot of us don’t realize is that there are different types of praise. One type can motivate people while the other can have the opposite effect. What this means for you as a manager is that the approach that you end up taking when you go to praise the accomplishments of a member of your team really matters. If you go about doing it in the wrong way, you may end up causing them to be demotivated, won’t encourage them, and could cause them to not be willing to achieve more. How we give praise to people is something that has been closely studied by researchers. What they have found is that there are two different ways that we can go about doing this. The big question is do we think that the skill that our team member used to accomplish something is based on certain talents that they were born with or do we believe that talents can be developed? When it comes to praise, the members of your team will probably fall into one of two different mindsets when it comes to their talent. The first one is a fixed mindset. These people believe that our talents are what we are born with and are basically fixed. They believe that the talents that we have are the ones that we were born with. The second group of people believe that talents can be developed through effort on the part of an individual. These people believe that we are what we work to become. The way that a member of your team views their talents has a lot to do with how they receive and process praise. If you have a fixed mindset, then you assume that you are what you are – things are not going to change. When things get tough, we will end up struggling because we believe that we just “aren’t good enough”. When we praise team members only for achievements you help create a fixed mindset environment. In time, team members will see every mistake as a failure. They see a lack of immediate results as a failure. In time, they can lose motivation and even stop trying. As a manager, what you need to do in order to make sure that you deliver praise that will be well received is to make sure that you praise both effort and application. You still praise results, but you praise results that are based on the premise of your team members making an effort, and not on an assumption of innate talent or skill. By praising effort, you help create an environment where team members feel anything is possible — all they have to do is keep trying. One of the jobs of any manager is to take the time that is required to praise your team members when they do something that is good — think of this as being a form of team building. The challenge that we can run into is that if we are taking the time to praise someone, we want our praise to be well received and to motivate the person to do even more. However, depending on a team member’s mindset, how we praise them may either motivate them or cause them to lose motivation. Where we can run into problems is when we don’t realize that people can have one of two different mindsets when it comes to their talents. One mindset, the fixed mindset, believes that they can only use the talents that they were born with. The growth mindset believes that talents are something that can be developed and grown. When you go to praise a team member, make sure that you praise the results that your team member achieved but make sure that your praise is based on the team member making an effort. To consistently improve employee performance, you need to find a way to build a work environment with a growth mindset. Not only will your team’s skills improve, but the members of your team will be comfortable taking more risks as well. In the end, this is going to end up making you look even better. Question For You: How often do you think that you should take the time to praise a team member? When you have new people join your team, they generally do so with a great deal of excitement. There are a lot of things that they want to accomplish and they are looking forward to learning many new things. However, over time this has a habit of changing. Over time you are almost guaranteed to have a dip in morale. Surveys have been done and what they have found is that this affliction hits roughly 70% of the people who will be joining your team. What’s a manager to do? Just Exactly How Much Does Your IT Team Believe In You?